We are very excited to announce the launch of our new website with an all new re-designed look. After months of development and design enhancements you are now seeing the new look of Advanced Entry Systems of Canada (AES). With our new website design, not only will we be ‘surfing’ the web in style, but it will allow for a faster, more user-friendly interface to create a virtual site where all users can discover what they’re looking for without hesitation. This more dynamic and interactive site helps to provide you with the clear, concise, accurate and updated resources you’re looking for. Our fresh look is also loaded with piles of new information. With this large increase in content available at your fingertips you won’t miss a thing. You will find everything from products, portfolios, contact information, services and all you need to know about us and our company so you can get to know us even better. Our new website is linked to our blog, as well as our company LinkedIn, Facebook, Twitter & Instagram platforms so you can see live posts and receive updates that will keep you in the loop with everything you should know. With our incorporated products page, you will be able to find and see every piece of the puzzle from gate parts to full operating systems. Our large project portfolio now available for you to view illustrates past jobs completed in a wide variety of materials from chain-link, iron, wood and more! 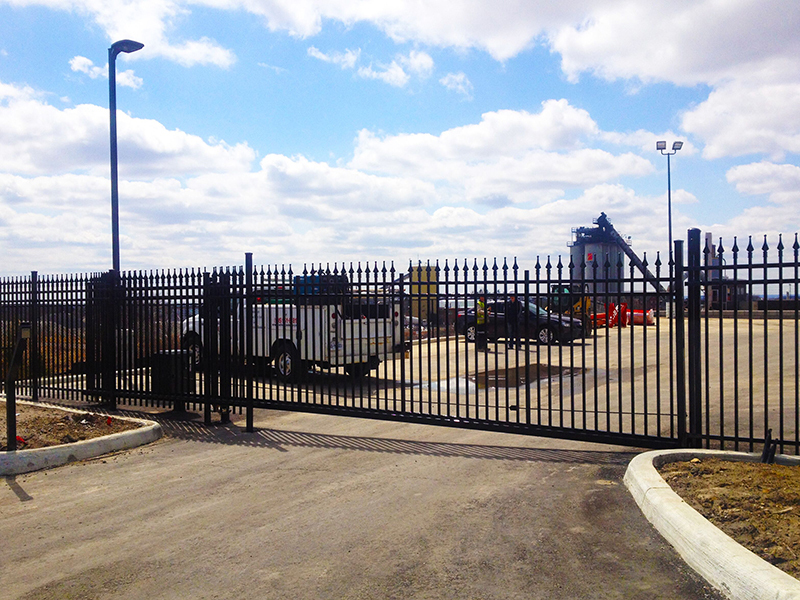 Our portfolio also includes industrial or commercial configurations, as well as residential or custom gate systems. With over 20 years’ experience and a large portfolio of projects, AES and its trusted reputation can work to create a system to suit any configuration. This process is now made easier with the information, designs& drawings, now easily accessible for viewing from the comfort of your own home or office. Our new design easily lays out the services we offer from the design, product specification and engineering stages, right through to system integration in your home or commercial residency. Our new look and easily maneuverable design allows our true colors to shine through giving us that fresh, modern and updated look our automated gate systems give your home or facility. Have a look around and let us know what you think! Have any questions or experiencing any problems with the site? …Give us a call at905 951 8181 or feel free to leave a comment below and we would be happy to help!